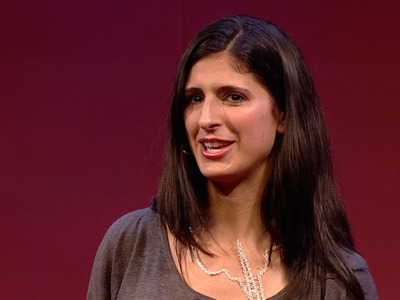 TEDNina Tandon speaks at a TED talk about tissue engineering. If you’ve ever broken a bone, you know the process to recovery is slow and painful. Now imagine neither splint nor surgery were enough to seal the fracture. Instead, your doctor says you need a bone graft, a procedure that involves taking bone from elsewhere to fill the gap created by your injury. You have a choice: Allow a surgeon to cut bone from another place in your body or get some new bone from a dead person. Both are risky: Bone from another body can carry disease, so doctors have to be careful about screening donors. Grafts from your own body can still be rejected and cause a painful infection or in more serious cases lead to nerve damage. Nina Tandon wants to do away with both of these options. Instead, she wants to help you grow your own bone. From your own cells. In the exact shape and size you need. Her company, called EpiBone, is close to making this reality. Using stem cells and a special type of incubator, she and her team have grown durable, living bones. But the road ahead will be challenging. So far, only a few trials of bones grown in a lab have been tested in people, and few comprehensive studies of their longterm effects have been done. The field of regenerative medicine itself is only a little over a decade old. YouTube/TEDTandon in her lab with EpiBone co-founder Sarindr Bhumiratana. Before she ever saw the inside of a lab, seven-year-old Tandon made a hobby out of taking apart her parents’ tube TV, learning how each piece functioned and fit together, and putting it back together again. With EpiBone, 34-year-old Tandon has made a career out of putting things back together. But this time, instead of cathodes and wires, she uses body parts. Tandon began building human tissues as a biomedical engineering student at Columbia University. She started with the strips of muscle that line the heart, and moved on to the delicate layers of skin that protect our bodies from outside elements. In 2013, she used neonatal heart cells and a bit of electrical stimulation to build a 5mm by 5mm piece of engineered cardiac tissue capable of beating. Now she’s using stem cells to build personalised bones. A finished example of a custom-built EpiBone. Every year, some 900,000 Americans undergo bone-related surgery. For people who’ve experienced severe trauma, lost bone to cancer, or were born with congenital defects, the EpiBone process could dramatically change how they experience surgery and how they recover. First, Tandon and her team do a CT scan of the bone defect to get a complete picture of its exact size and shape. Then, using a procedure similar to liposuction, they take stem cells from the patient’s fat cells. The cells EpiBone uses are called multipotent stem cells, meaning they are capable of developing into many different tissues, including bone. 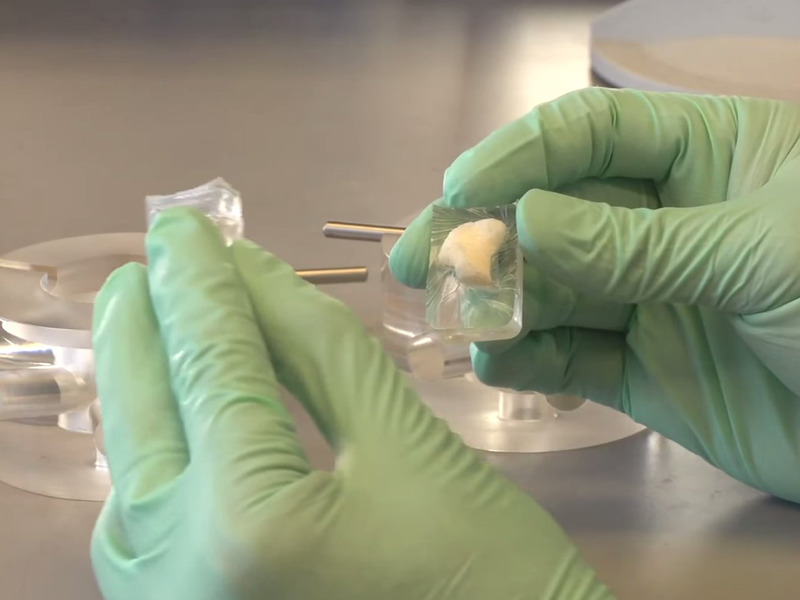 One of the major strengths of EpiBone is that its materials come from the body’s own cells, meaning it’s far less likely they will get rejected compared to foreign bone or synthetic materials. Once harvested, the stem cells are placed inside a sort of incubator, or bioreactor, where they can grow along a delicate frame of animal bone and cartilage. The bioreactor is “like a fancy fish tank,” says Tandon, that “gives cells all the nutrients they need to make a perfect product.” Inside, the cells develop into a living, custom-built implant in three to four weeks. Because each EpiBone graft is custom-built, it can be made to fit precisely in the desired location — a huge plus compared to a bulky chunk of synthetic bone or bone cut from elsewhere in your own body. That snug fit could help shorten surgery and recovery times, says Tandon. The first challenge is getting federal approval. 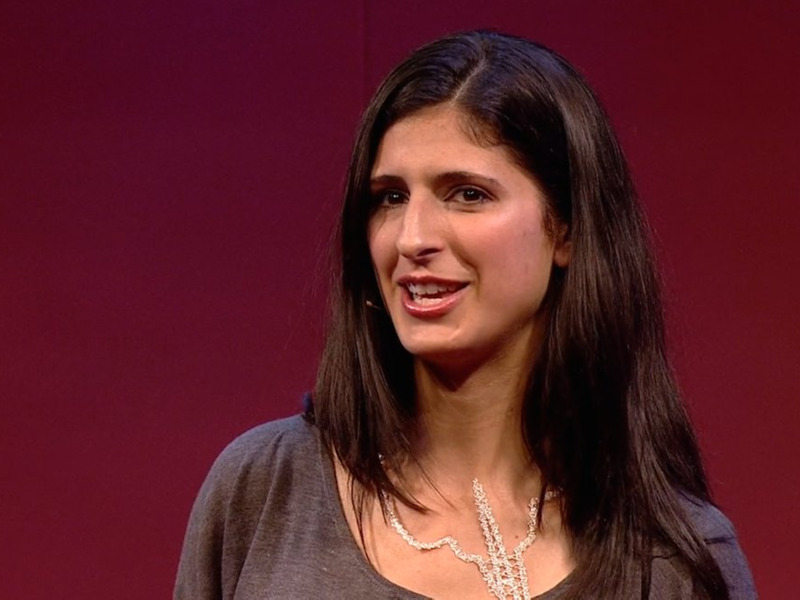 While Tandon has shown her technology works in animals, she hasn’t yet tested it on people. The Food and Drug Administration typically requires years of lengthy trials before rubber-stamping any drug. Because EpiBone is a living technology, the barrier for getting the federal go-ahead will likely be set far higher, says Case Western Reserve University professor of biomedical engineering Steven Eppell, who’s patented a different approach that doesn’t require the use of living materials. Next is cost. Because each EpiBone graft would have to be custom-built with a patient’s own stem cells, it will likely be expensive. One 2012 study pegged the cost of lab-grown bones at somewhere between $US10,000 and $US15,000, or about three to four times the cost of a traditional procedure. Tandon’s technology could be implemented in people as early as sometime in the next 5-10 years, she says. But there’s a lot that would need to be shown between now and then. So far, EpiBone has yet to test its specific process in humans, but the technique of using stem cells to grow bones has been demonstrated in humans in seven clinical studies. Still, because of the variety of techniques and studies used to test the technology in the past, it’s been difficult for scientists to determine how well the technology works and if it’s ready for broader applications. Most of the studies have been small, for example, and the researchers didn’t always compare the patients who participated in them with control patients who received traditional surgery or no surgery at all. For some of the earliest studies, researchers didn’t maintain contact with patients long enough to perform longterm follow-ups of their procedures. And some of the surgeries involved using stem cells from bone marrow rather than fat tissue, which is the technique Tandon uses. Tandon’s team plans to test their product in human patients for the first time within 18 months. In the meantime, they must demonstrate that the technology can work. The company hired its first employees this month and are still in the process of moving into a bigger, newer space in New York City. Once they’re settled, they will be spending the next year and a half doing more tests and trying to build larger, more complex bones. “The time of building with living cells has arrived,” Tandon says.